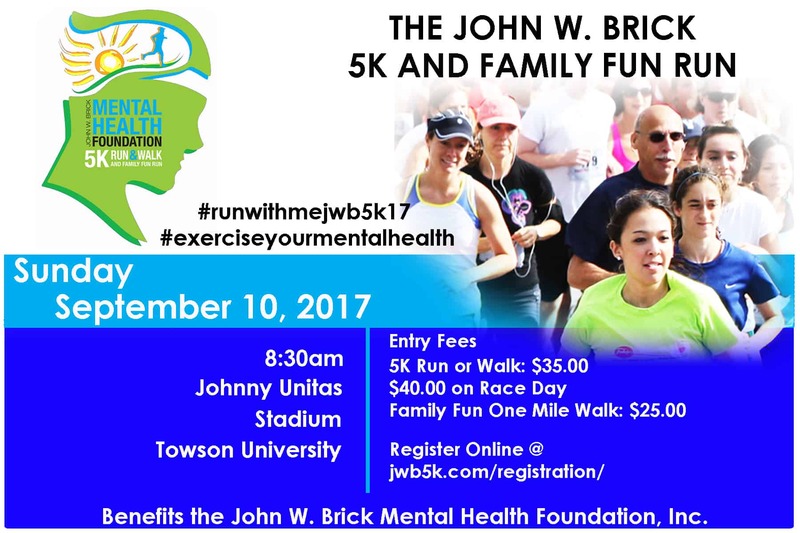 The John W. Brick Mental Health Foundation will hold its 2nd Annual 5K Run & Walk and Family Fun Run, Sunday, Sept. 10, at Towson University. Over 1,200 people of all ages and fitness levels are expected to participate in this signature event, which starts and ends at Johnny Unitas Stadium. 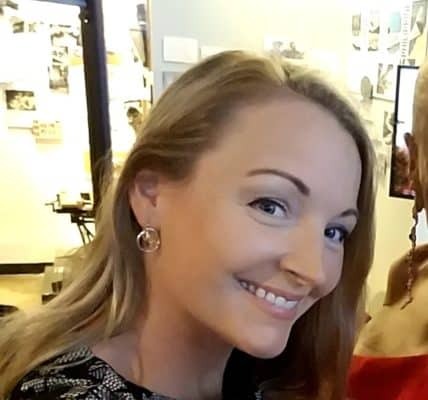 On-site registration at begins at 7 a.m., followed by warm-up exercises led by The Oriole Bird and Lynne Brick (co-founder and owner of Brick Bodies Fitness Services, Inc.), and remarks by event emcee, Denise Koch (anchor, WJZ-TV Eyewitness News). The 5K Run/Walk will begin at 8:30 a.m., traveling through the neighborhoods of Towson and finishing at the Stadium’s 50-yard line. The Family Fun One Mile Walk will begin at 9 a.m. and travel through campus. After completing their desired path, all walkers and runners can celebrate their victory at the Post-Race Festival featuring food, drinks, music, the Kids’ Fun Zone, vendors and exhibits. Cash prizes will be awarded to the top three male and female overall finishers ($200/$100/$50), as well as male and female Masters ($75) and Grandmasters ($75). Age group awards will go to the top three male and female finishers in the following age groups: 10 and under, 11-15, 16-19, 20-29, 30-39, 40-49, 50-59, 60-69 and 70 and over. Additionally, the largest team will receive an award. The 5K Run/Walk and Family Fun Run will support the efforts of the John W. Brick Mental Health Foundation – a 501(c)3 nonprofit organization established by Victor, Lynne and Vicki Brick in 2015 to advance learning on how exercise benefits mental health. Registration fees are as follows: $40 on Race Day. These fees cover on-course water, post-race refreshments and activities for all, plus Tech shirts, medals and goody bags for the first 1,200 registrants. The John W. Brick Mental Health Foundation is named after Victor Brick’s oldest brother, John, who suffered from schizophrenia and died prematurely of complications from the disease. As physical health enthusiasts, Victor, Lynne and Vicki Brick firmly believe that changes to John’s physical health could have greatly improved his mental health. The John W. Brick Mental Health Foundation serves as a collaborative hub, working with other mental health care institutions, organizations and individuals in conducting studies, promoting research, creating awareness and improving understanding as to how exercise benefits mental health. For more information, visit www.exerciseyourmentalhealth.org.